Richmond Car and Truck Center is proud to offer this immaculate previous 1 Owner Off Lease 2017 Kia Soul + that looks great with a Titanium Gray exterior and Black Cloth interior. 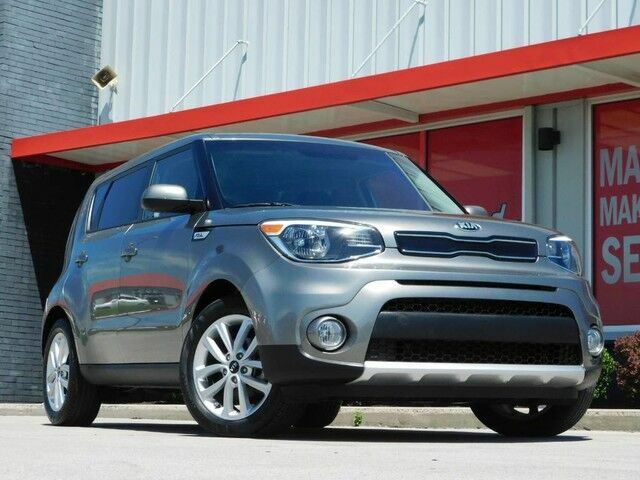 Some of the great features youll find in this 2017 Kia Soul + is Front Fog Lamps, Bluetooth Connectivity, Voice Activated Control, Drive Mode Selector (Sport, Normal), USB/AUX Connection, Touchscreen Display, Rear Backup Camera and Electronic Stability Control. Take comfort in knowing Carfax affirms only one previous owner, one minor reported incident and it has the 100% Carfax Buyback Guarantee!. Due to our pricing our vehicles sell pretty quick, so call ahead to be sure of availability! This Kia Soul + has been quality inspected, fully serviced and ready for delivery at Richmond Car and Truck Center of Richmond, Ky.